Some people actually liked Jurassic World. Good for them. For the rest of us, news that a video game had been in development but never made it to the finish line will be...an idle curiosity? A small blessing? As fan site Jurassic World report, word got out in May that when Cryptic Studios North closed, the project they’d been working on had been a tie-in for the summer dinosaur blockbuster that was subsequently canned. 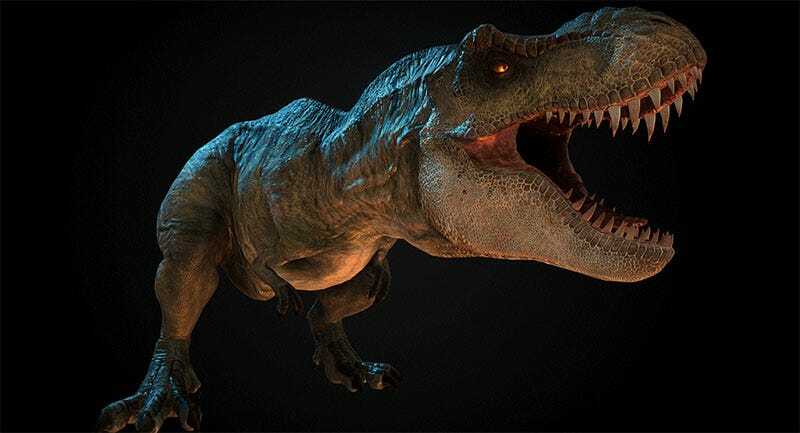 It’s only this week, though, that assets for the game have turned up, giving us a look at some dinosaurs and a very strange-looking Chris Pratt. Yes, I know, dinosaurs are cool. Remember, though: video games about dinosaurs are very rarely cool. And that goes double for anything associated with Jurassic Park.